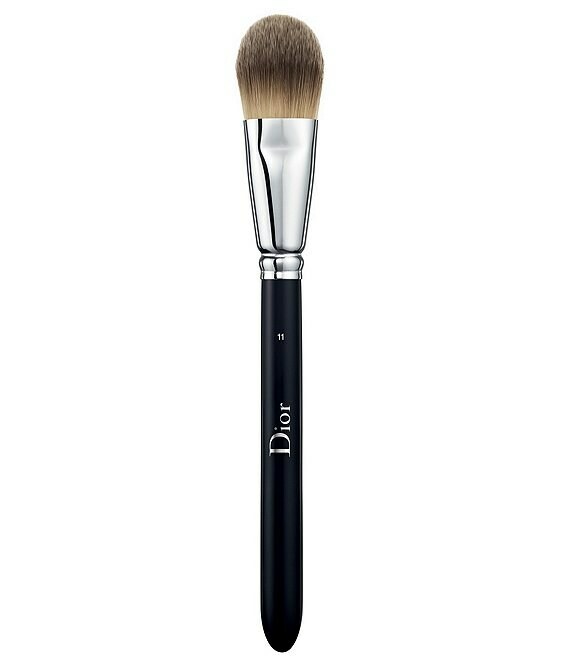 Drawing inspiration from backstage Dior runway shows, the light coverage fluid foundation brush No. 11 is designed for perfect, simple makeup application. It is your foundation's best ally for a light coverage effect. This brush delivers seamless application with a second-skin finish and build-able light to medium coverage. Designed for use with fluid and cream foundation, it has a tapered, layered "cat's tongue" shape that helps blend the foundation for fast, easy application. This firm brush with extremely fine and soft synthetic fibers delivers flawless, controlled application in a single stroke. Recommended for use with Fluid or cream foundation.